Monday, December 27, 2010 from 2-4 & 6-8 P.M.
Harold W. ’Whiz’ Winter of Otsego went home to be with his Savior Thursday, December 23, 2010 at Rose Arbor Hospice Care after a long courageous battle with Lou Gehrig’s Disease. He was born August 3, 1927, in Chicago, IL to William and Emma (Mohr) Winter. Harold graduated from Fenger High in Chicago. He served in the U. S. Army and played French horn and bass in the Army band. He met the love of his life, Ina Ziebutski while playing the bass in the Army band in Ocean City, MD. They were united in marriage in Dover, DE on September 19, 1953 and were blessed with 4 children. After 31 years of service, he retired from Eaton Corporation in 1987. During his retirement, he enjoyed driving cars for local dealerships. Harold was a member of Peace Ev. Lutheran Church. He was an avid Chicago Bears and White Sox fan. He loved playing softball with the church league until he was 62, bowled in various leagues and loved watching his children and grandchildren’s extra-curricular activities. Harold is survived by his wife of 57 years, Ina; his children, Dawn (Paul) Welke of Winona, MN, Andy Winter of Otsego, Cindy (Roger) Commissaris of Portage and Janice (Dave) Rockhoff of Kenosha,WI; 11 grandchildren; 1 great grandchild; a sister, Janice (Ernie) Cochran of Allegan; an uncle, Jack Mohr of Allegan; an aunt, Frieda Crabbe of Rockford, IL; many nieces and nephews. He was preceded in death by his parents, a sister and brother-in-law, Emma and Ted Patranc and a daughter in law, Amy Winter. 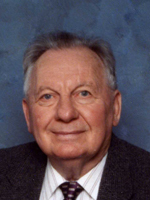 Friends may meet Harold’s family from 2 to 4 and 6 to 8 P.M. Monday at the Winkel Funeral Home, Otsego. Funeral Services will be held at 11:00 A.M. Tuesday, December 28 at Peace Lutheran Church, 805 S. Wilmott St., Otsego with Reverends Jason J. Thiel and Joshua Olson officiating. Burial will follow at Mountain Home Cemetery, Otsego. In lieu of flowers, memorials may be made to Rose Arbor Hospice Care of SW Michigan or the Peace Lutheran Church Organ Fund.